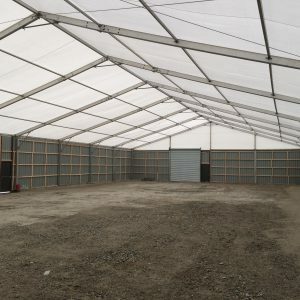 Inspired Structures were asked to provide a long term storage facility by Dairy Crest at short notice. Working in the worst that the January weather could throw at us with strong Cornish winds and horizontal rain and sleet we provided the client with a dry and weather proof solution. 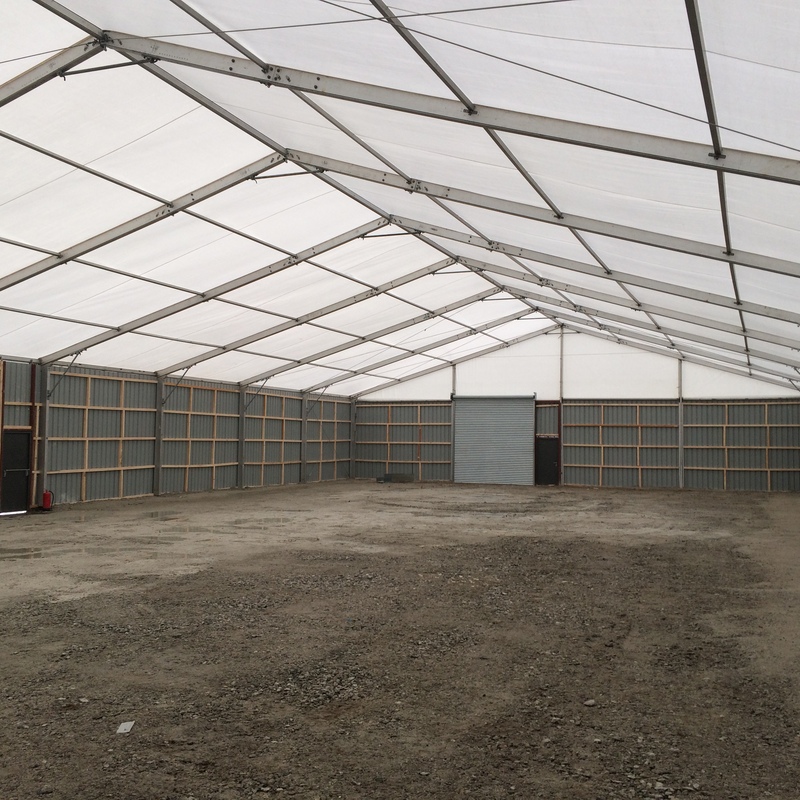 In the space of a few weeks we managed to provide a 20m x 40m on a 4m Leg with Solid wall Panels and an Electric Roller Shutter door for heavy duty access. 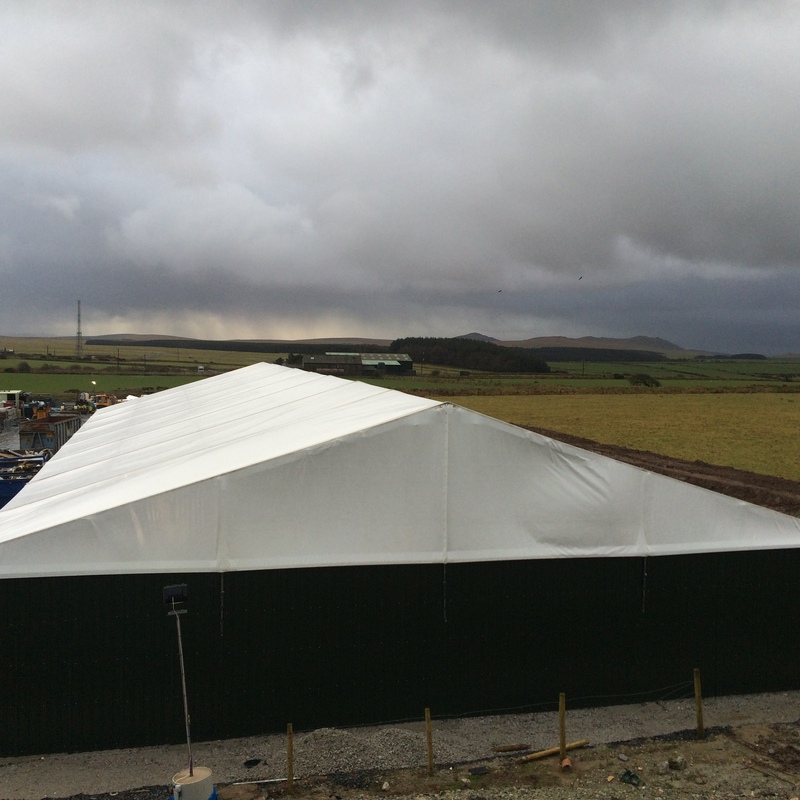 Working in far from ideal weather and on a new site the structure went up as being utilised to great effect. 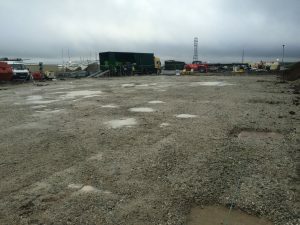 Starting out with an unused patch of land – in 10days we had transformed the space and made a weather proof and security proof structure suitable for storing and maintaining expensive machinery ready to go into a the new Factory being built. 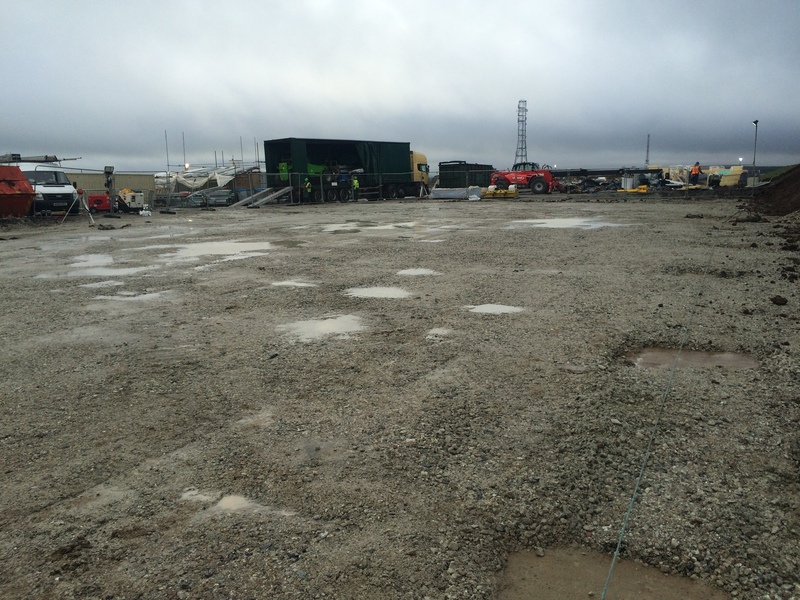 The 4m high electric roller shutter door meant that forklifts could drive in and out without fuss.